We host lots of different clients, mostly bachelor parties and big corporate groups. They pick one or two activities of course with door-to-door transfer – we look after our customers, so they don’t have to worry about anything. We can provide accommodation, transfers, lunch or dinner menus in the best restaurants in Krakow Old Town and of course the top level of daytime activities. Last week we had small but anxious of adventures group of 5 British guys. They decided to go for 5 activities with us! The first day was a riding day. Go-karting 32 minutes ride and quad biking 60 minutes per person. They won’t forget smell of fumes and adrenaline for a long time! Escape game & axe throw! The second day was more peaceful but exciting as well. Pirate ship, the best escape room in Krakow and axe throwing brought a lot of fun and guys could compete who has got the best aim on throwing hatchets. Lads also wanted to play bubble football. Despite their group was quite small to play, they did it! We combined them with other little group and in that all of them could enjoyed bubble football and other bubble games. 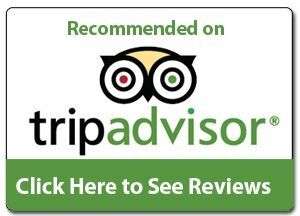 To check how good we are at providing activities in Krakow read our reviews on TripAdvisor. We think that they are our best showcase. This entry was posted in Activities, Ideas, Krakow. Bookmark the permalink. Be like Dirty Harry – New shooting package!